Ram Papatla is a keynote speaker for the upcoming Product Management Festival. 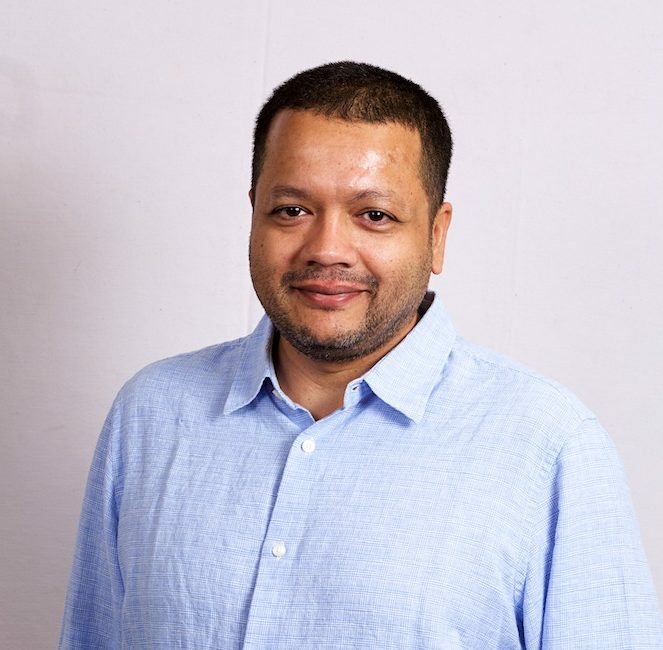 He is the Vice President of Product Management at Flipkart, India’s e-commerce giant with a US$11.6B valuation, and formerly worked at Microsoft and Amazon. In our interview below, he shares his professional journey, challenges on delivering consistent quality to a very diverse 100M customers, and how he incorporates AI to continually improve the product experience. How did you come to be a VP of Product Management at Flipkart? Ram: I started as a web developer after school and soon afterwards joined Microsoft. I initially joined the engineering team and four months later, after concluding based on a couple projects that I’m spiking on customer thinking and driving data-based decisions, I was swiftly moved out of engineering and into a technical product function. I am fortunate that I had been surrounded by mentors at Microsoft who helped me develop the art and science of contrarian views of product development. The early years were about customer validation and techniques to decipher what customers cared about. And then came design-infused thinking, experimentation, performance metric tracking (only the ones that really mattered), and rapid scaling. I am also wickedly curious, so it helps! Could you share a couple things you find challenging about your job or industry? Ram: When you have 100 million customers and counting in a country where the infrastructure is unorganized, you need to throw out previous assumptions and start over. And the diversity of our customers is like the diversity of India. Take our Progressive Web App, for example. Many customers were still on 2G networks, and this app (or a Mobile Web Site) was inspired from those customers who had hoped their apps would be updated on a 2G network when they went to bed. For these customers, whose primary computation device is mobile, we could not deliver a subpar experience. So we did exactly what we do when we think about customers on faster networks to deliver a comparable experience. In fact, our Progressive Web App has feature parity with our Native Apps! You’ll be speaking at PMF on using unconventional product management and techniques, including the use of artificial intelligence. AI is certainly a hot topic right now. Was it difficult convincing the company/team to accept the use of AI? Ram: The DNA of our company is to use technology to drive shopping experiences. Let’s talk about one example. When people see images, how do we ensure they see the right thing? The core catalog data in Flipkart comprises of images and textual attributes. These are seen on search and product pages, and the textual attributes are used to serve relevant products to users through discovery channels like search, merchandising, and recommendations. Images are the central currency for online commerce. And especially for categories like apparel, footwear, home furnishings, and furniture, images are critical in allowing customers to get an appreciation of the product in the absence of physically observing it. Hence, the quality check first boils down to the quality of the image and whether attributes match what is depicted in the image. Then, in order to serve our customers better than anyone else in the country, we push deeper into our understanding of product imagery, extracting high-level aesthetic features from which we tease out exactly what attracts a buyer to click on a product. For example, we consider what models of a particular line would sell that apparel best. When a female user is searching for dress shoes, would presenting a red shoe, or a high-heeled shoe, help increase the likelihood of a click. When we went to the drawing board to solve for these problems, we were convinced we needed to build a scalable solution without any manual intervention. Computer vision and deep learning techniques had progressed by leaps and bounds and we sought to leverage these techniques. Catalog at Flipkart is organised into verticals – a vertical is a homogeneous product group (e.g. shoes), with each vertical having specific product descriptors (e.g. sleeve for a shirt versus sole material for a shoe). The first step for any automated catalog quality solution was to correctly classify the vertical of a product, given some unstructured data from sellers. We now have a deep learning model which can classify the vertical given an image, and, for verticals with similar images (say a shampoo versus body lotion), uses the product description to help classify with 95% accuracy. You work with customers on a scale that many product managers may not be used to. Are there considerations to keep in mind when working on the scale that you do? Ram: In India, customers prefer having a store salesman to accompany and guide them in shopping, unlike in the west where customers prefer exploring the aisles on their own. Let’s look at some of the scenarios in offline stores. When a customer walks into an offline store and asks for shoes, the first thing the salesman asks is his size. And if he happens to be a former customer, the salesman would just confirm, “Should I show you size 8 sports shoes?” But when a user searches online for shoes, we would display dozens of shoes. When a customer walks into an appliance store to buy a washing machine, the salesman would understand the family size to recommend the right capacity. When a customer walks into an electronics store and asks for Redmi Note 3, the salesman would tell her, “That model is outdated. There is a newer version Redmi Note 4.” However, if a user searches for an outdated phone, we would just show a few out of stock listings of the phone. We started thinking of a conversational AI (or a chatbot) which would create the above experience. There are several different levels of chat bots from simple alert messages, where you respond with a “yes” or “no,” to sophisticated agents that can hold entire conversations like a salesman. We did not want to intimidate our users with technology and thought about a subtle conversation which is progressive. Hence, we imagined our conversational search engine somewhere in the middle. In other words, it’s a progressive conversation to help new shoppers who are just coming online or raise the bar for experienced shoppers. It would guide users with broad shopping ideas and relevant questions. And it would present alternatives in case we don’t carry what the shopper is looking for. Our Search team conducted countless experiments to address a specific insight of offline buying through a unique conversation approach. Where do you draw your inspiration from professionally (or personally too if you’d like)? Ram: There are multiple places I draw inspiration from. I’ve recently enjoyed listening to the Masters of Scale podcast by Reid Hoffman, and I’m always looking for stories behind several product launches. I absolutely love reading and understanding research methods, techniques employed and how insights are drawn both through primary and secondary methods. I also really enjoy using Product Hunt’s Chrome tab extension. When you launch a new tab, a feed from Product Hunt shows up with a list of products; I love reading the products listed and their pitches. I can do this for hours. In my early days, I loved Ben Horowitz’s iconic blog post titled “Good/Bad” Product Manager.” It’s a symbolic rendition of what has evolved in the modern product manager discipline and on how one should think about product competencies and drive impact across the organization. I think the simplicity of the paper is remarkable. Ram will be speaking at PMF on unconventional product management and techniques, such as using crowd-sourcing to help PMs collect data and use it to train cognitive AI models. Join us at PMF to meet Ram, hear more about his and others’ experiences, and discuss with fellow product managers the topics most important to you.